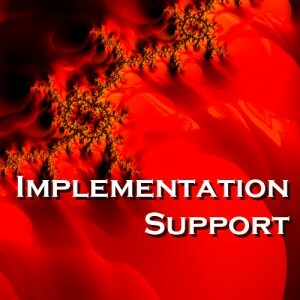 The SIL Implementation Support service provides risk mitigation for mission-critical projects, both IT and organizational. Through a process of quality measurements, SIL will monitor key data points, model trends, and evaluate impact for your new implementation. If trends indicate that key thresholds will be exceeded, SIL will provide both alerts of the variance and possible corrective actions. As plans change, SIL will provide answers for "what-if" scenarios by modeling outcomes and providing recommendations. This service minimizes risk to strategic system implementations by providing timely feedback on performance issues and critical feasibility challenges. SIL's vast experience in predictive performance modeling and implementations allow for rapid analysis of system's behavior. This service has helped many SIL clients identify potential problem areas, saving time and money by avoiding disastrous errors. SIL's implementation support service can mean the difference between the success and failure of your next platform or application roll-out.